Having finally acquired a new messenger style bag to carry my diary, notebooks, library books and other assorted items (deemed essential by my four year old) I felt it needed to be prettied up. 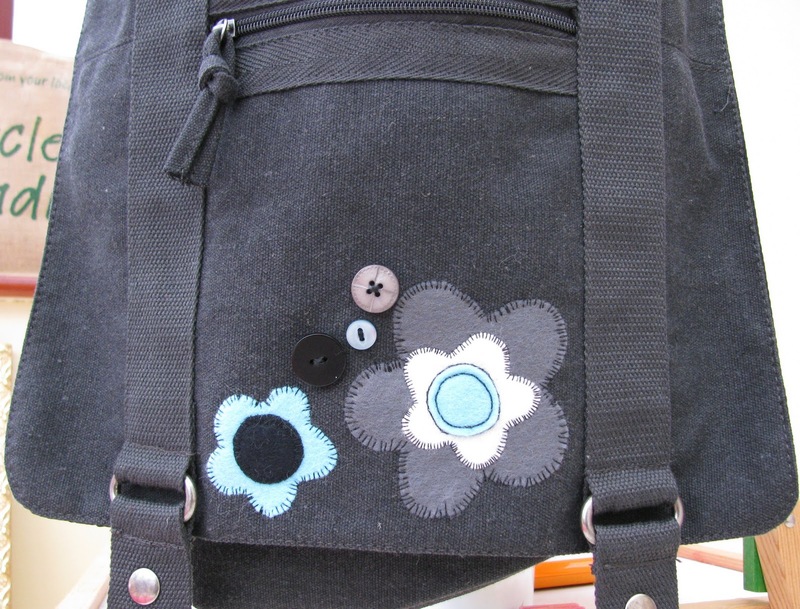 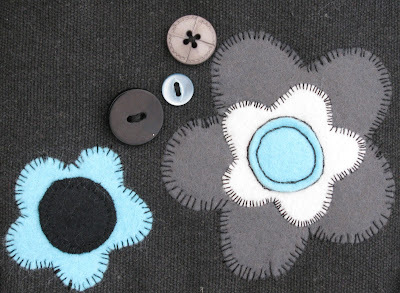 The bag material was slightly tricky to stitch and I needed a sharp needle, but it didn't take long and its another great use for our felt flower kits. 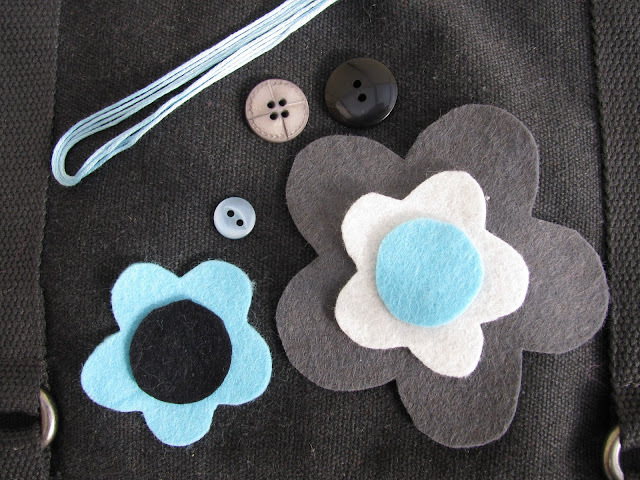 This new colour scheme will be able at The Loft @ Ardross Farm 23rd and 24th of April.